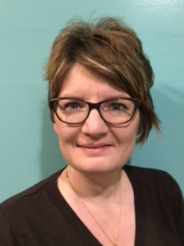 ROCHESTER, MN – The SELCO (Southeastern Libraries Cooperating) board of trustees has appointed Krista Ross as the new Executive Director of the library system. Ross will assume the role on April 24. Current Executive Director Ann Hutton will retire on May 1 but will be available afterward to assist in the transition. Ross is the current Director of the Southwest Wisconsin Library System, headquartered in Fennimore, Wisconsin. Ross’s experience includes work in large and small public libraries in Illinois and Wisconsin and service as Wisconsin Library Association president and board member. She is committed to providing resources and support necessary for staff development and member library success, with demonstrated experience in communication and relationship building, budget management, library user experience, and strategic planning. Four candidates were interviewed in person following a nationwide candidate search and a series of telephone interviews. Ross has a degree in Political Science from the University of Iowa, as well as a Master of Library and Information Science from the University of Iowa. She is active in various professional library associations and has been a presenter at a number of Wisconsin Library Association conferences. SELCO serves an 11 county region in Dodge, Fillmore, Freeborn, Goodhue, Houston, Mower, Olmsted, Rice, Steele, Wabasha and Winona Counties. The region shares over 3.5 million items through its Integrated Library System, and approximately 3,500 items travel through its interlibrary loan delivery service every day.